The original club was founded in 1969 and competed in local leagues such as the Staffordshire County League (North) and during financial difficulties in the 1970s, the Leek & Moorlands Sunday League. 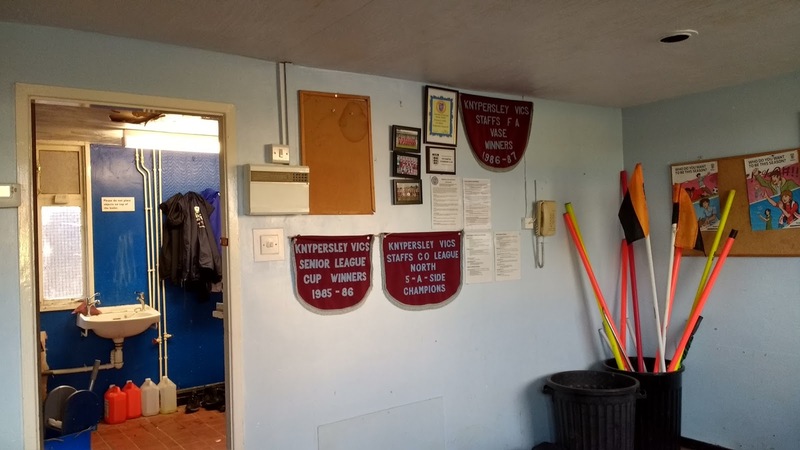 In 1984 they became founder members of the Staffordshire County League and were highly successful at their, new, higher level. 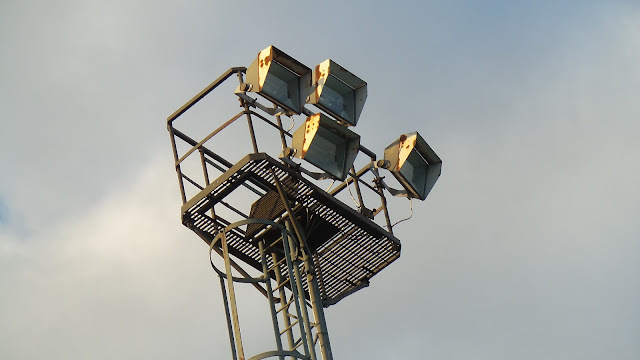 Up until 1991, when they joined the West Midlands (Regional) League, they never finished outside of the top five, including a runners-up spot. 1993 saw them win the WMRL Division 1 and gain promotion to the Premier Division. They spent one season here before moving to the Midland Alliance. They had their best ever finish of 5th in what was then a step 5 league during the 1995/96 season. Results fell away over the next few seasons, with bottom-half finishes the order of the day. 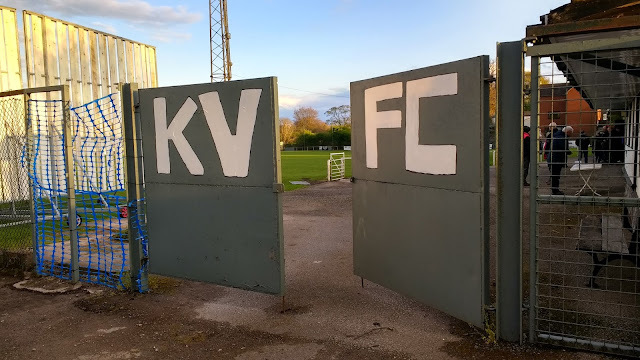 The club's name was changed to Biddulph Victoria in 2002 in an attempt to gain more support locally but the clubs fortunes did not alter. After a series of lower mid-table finishes, the original club went bust in 2011, their final placing being 17th in the Midland Alliance. 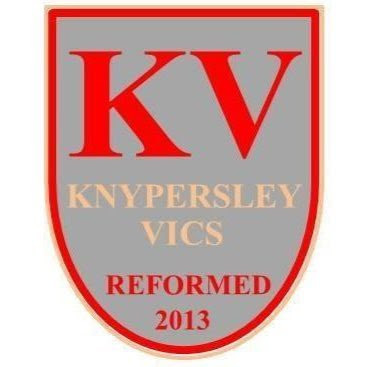 The name of Knypersley Victoria was resurrected in 2013 and returned to their former home of the Staffordshire County League. Starting out in its second tier, a 4th place finish was a solid start for the new club. That placing was repeated the following season when they earned promotion to the Premier Division. Last season saw a debut finish of 9th and although they currently sit 3rd bottom, they appear to be in no danger of relegation. 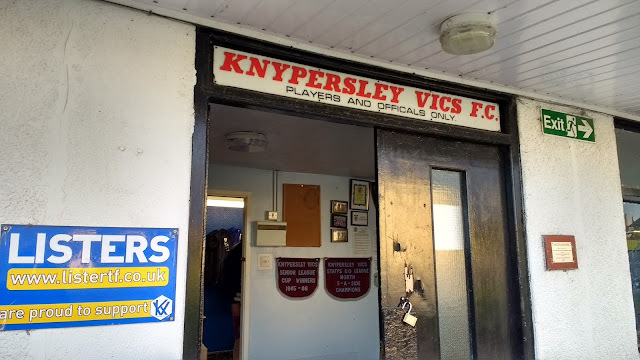 In the FA Cup the original Knypersley Victoria reached the 4th Qualifying Round in 1997. Notable results over Atherstone United, Gresley Rovers and Spalding United set up again against NPL Premier side Boston United. In front of a record crowd of 575, they were narrowly edged out 1-0, missing out on an away game at Ilkeston Town in the process. 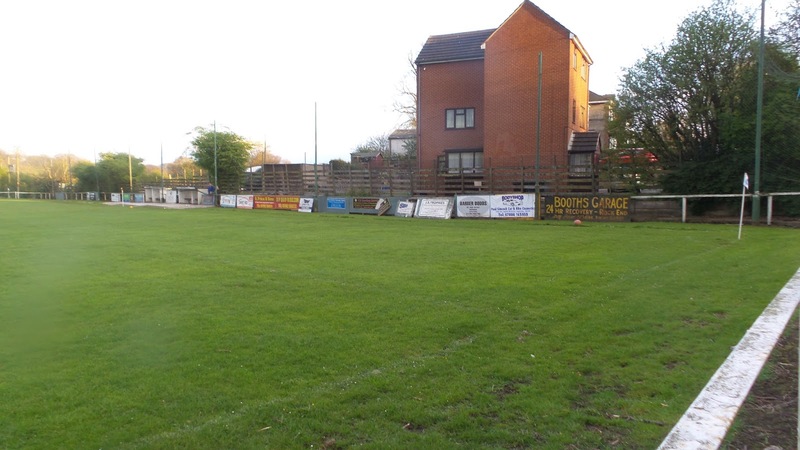 The FA Vase 3rd Round was reached in 2009, where they lost 3-1 to Causeway United. 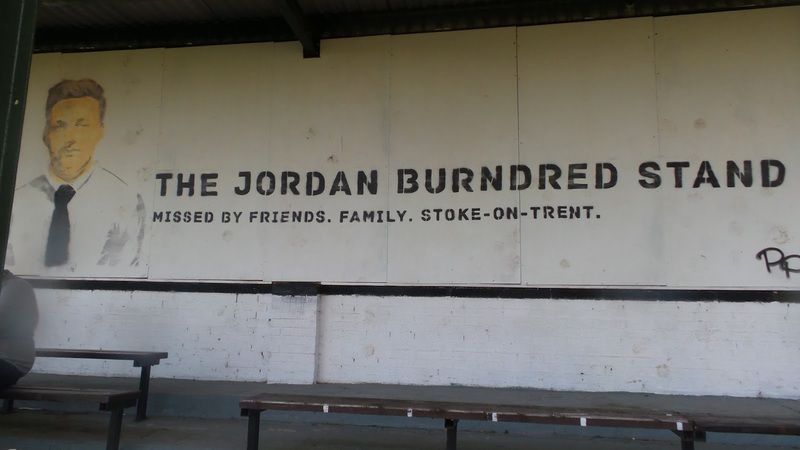 The most notable local honour came in 1987 when they won the Staffordshire FA Vase. 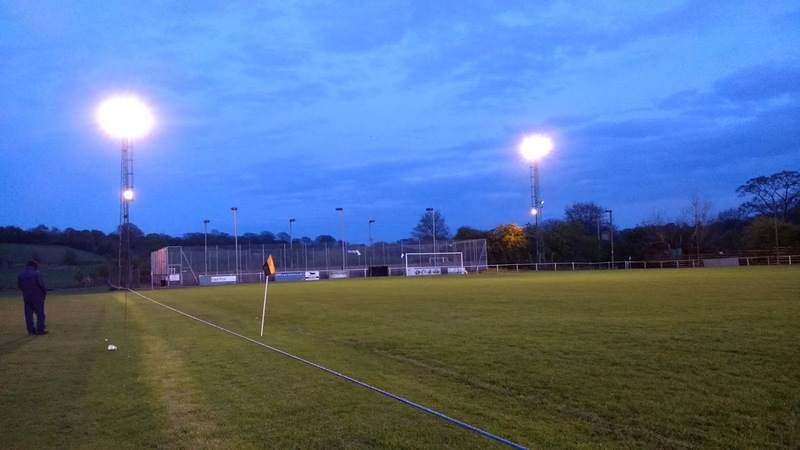 Famous people from Biddulph include former referee Phil Dowd and Manchester United striker James Wilson. The town itself was once the UK's sole producer of Velcro. 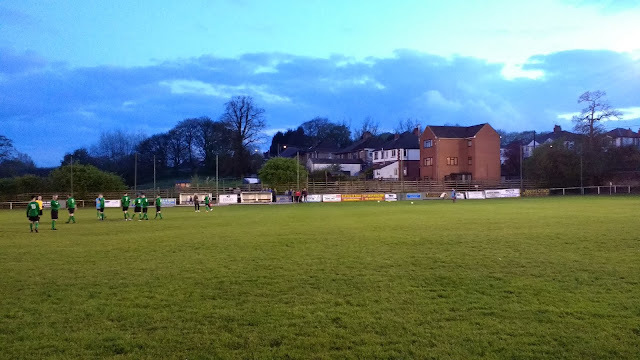 I left my previous game at Skelmersdale at 4.55 and headed for my next game at Knypersley. Originally I was going to divert and have a look at the set of the old set of former TV soap Brookside which is actually a real road in West Derby, Liverpool. However, on the way up I heard that the M6 was in its usual poor form and so with time tight I decided to head straight for the ground. I listened to local radio to hear what had been going on elsewhere, but the result that really mattered to me was that Wycombe had won 2-0 at Barnet to keep their playoff chase alive. The M6 did indeed prove to be in poor form, and after 20 minutes delay I parked up at the ground at 6.15. I'd already decided my pre-match plan, which was a Wetherspoons in nearby Biddulph. I got there at 6.30 and was not impressed by the outside, with half the letters missing. 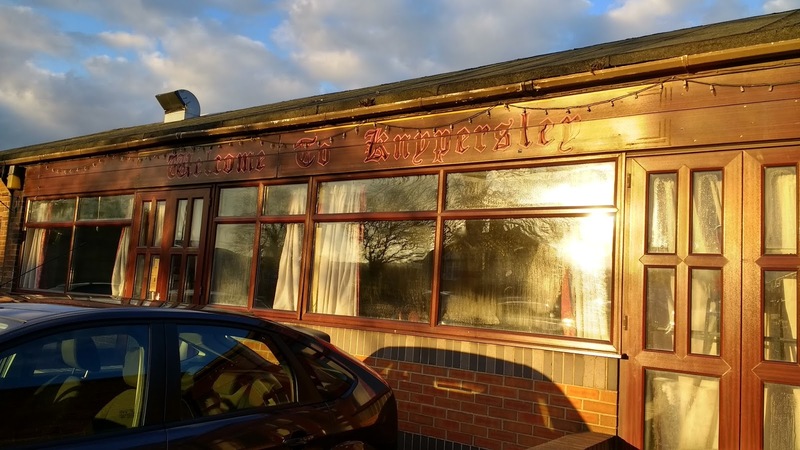 It was run down inside too with everything looking well-worn and no menus on the tables. Things didn't get much better when ordering with my expected Mexican Monday meal deal having been stopped and no real cider. Instead, I ordered a New York Deli Burger and Hazy Hog cider which were both nice enough without being exceptional. 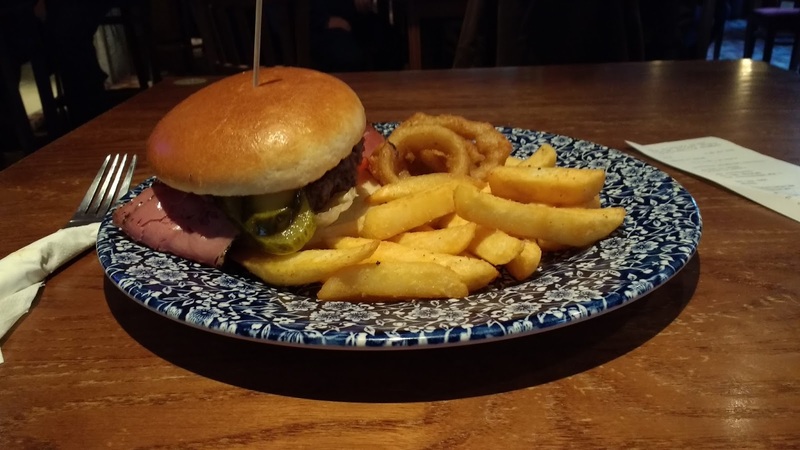 At least it was reasonable value and a nice chance to have a sit-down meal for £7.40. From there I made my way to the ground, arriving at 7.15. I paid the nominal entrance fee of £1 and after getting some pictures I took up a place on the halfway line on the cricket field side of the ground. The hosts were near the bottom and the visitors in the upper reaches of the table, but even so I wasn't expecting the margin of victory that followed. Ball Haye opened the scoring on 8 minutes with a composed finish by their number 9. Four minutes later, the lead was doubled when an angled shot found the bottom left-hand corner. On 37 minutes it was 3-0 when a cross from the right was bundled in by the number 7 from around 6 yards. Just before half-tim, the game was put beyond doubt with a 4th - this time the keeper was rounded before a simple finish into the empty net. Seven minutes into the second period it was 5, this time number 9 finished a cross from the right from a few yards. 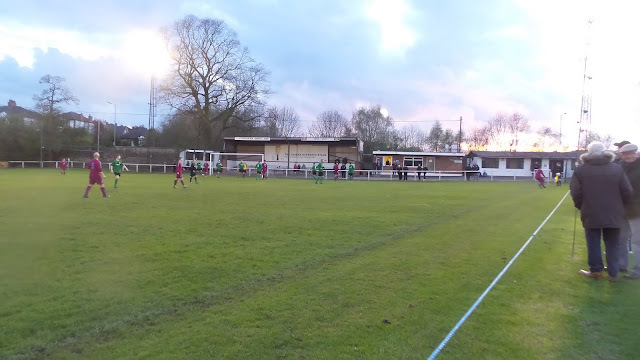 It was a similar 6th and final goal on 54 minutes when despite a foul in the build up Ball Haye Green managed to complete a right thrashing in a very one-sided game. Knypersley had been restricted to a few chances, but even with their manager in goal who made a couple of good saves, they couldn't score. There had been around 45 at the game, which was a decent attendance for step 7 and included a healthy following from the visitors. I left around 9.30 and made good time on the journey home. First I had to fill my car up, and this proved to be more difficult than it needed to be. First I tried the nearest station, Asda, but it was closed while they refuelled. The next, Morrisons, had the barrier across for some reason, despite usually having 'pay at the pump' facilities. Finally, I got filled up at Tesco and headed for home. I caught up with my podcasts on the way home, getting back around midnight. My Dad was still up, so I watched the League 2 goals with him whilst having a couple of ciders. I then caught up with my YouTube subscriptions before going to sleep around 1.30am. TUNSTALL ROAD is a great ground for step 7 having seen service at a higher level previously. 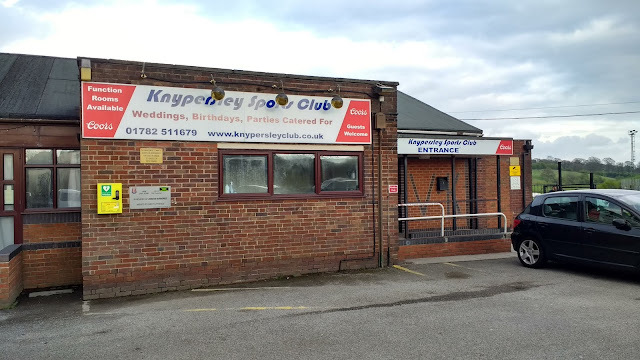 It's shared with the local cricket club and so one side is completely open. 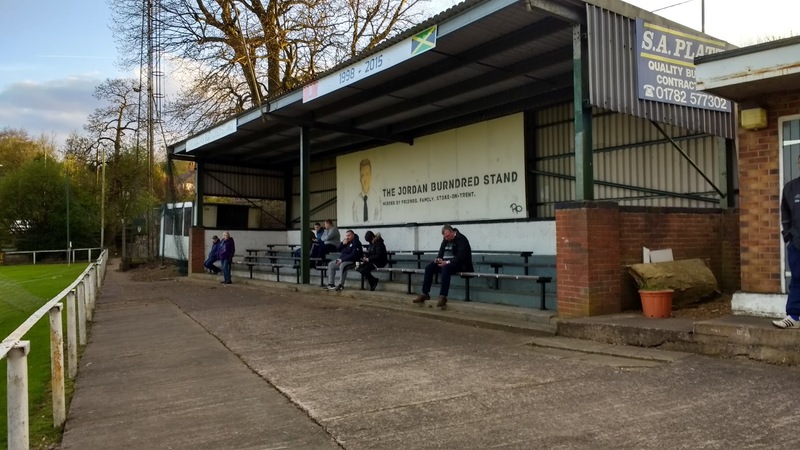 The main accomodation is behind one goal and comprises a covered stand that holds around 100 seated, plus a few more standing. 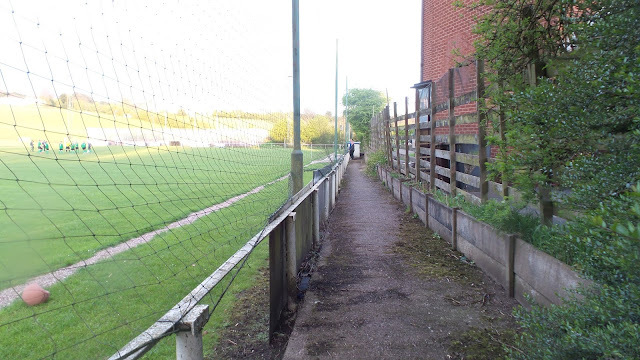 The other side is quite narrow and doesn't offer the best of views due to it being behind some netting. The far end is like the cricket side - open, but offering clear sight lines. There's a tea bar at the ground, though I didn't use it on my visit. 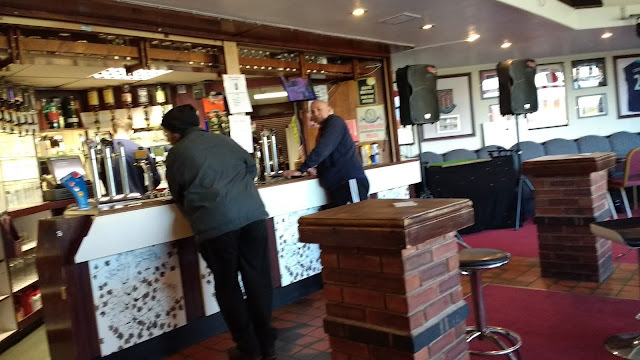 There's also a bar at the ground which was quite large and offered the usual range of drinks. 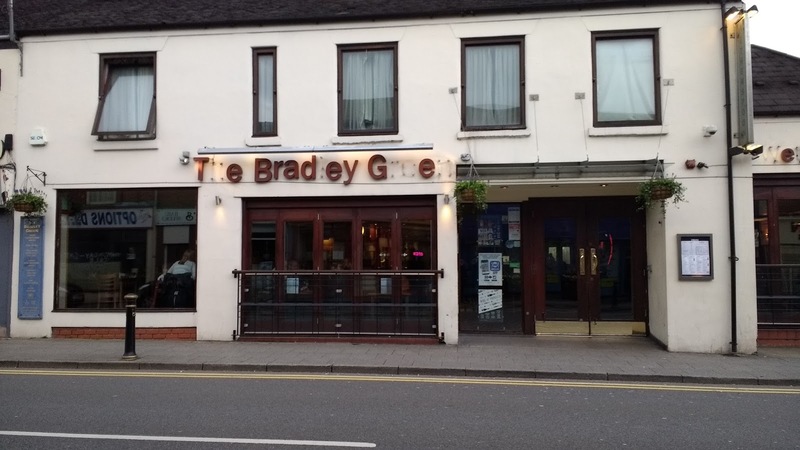 Around 15 minutes walk away is the town of Biddulph which offers a tatty Wetherspoons as well as a few other pubs and various takeaways.